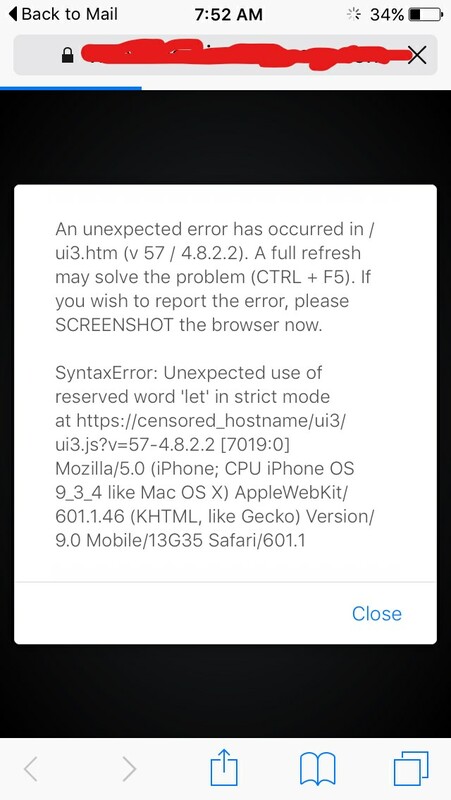 I have a client of mine using IOS mobile browser to access UI3 and he is reporting the following error. Any ideas? The user is reporting "My IOS on iphone is around 9.0"